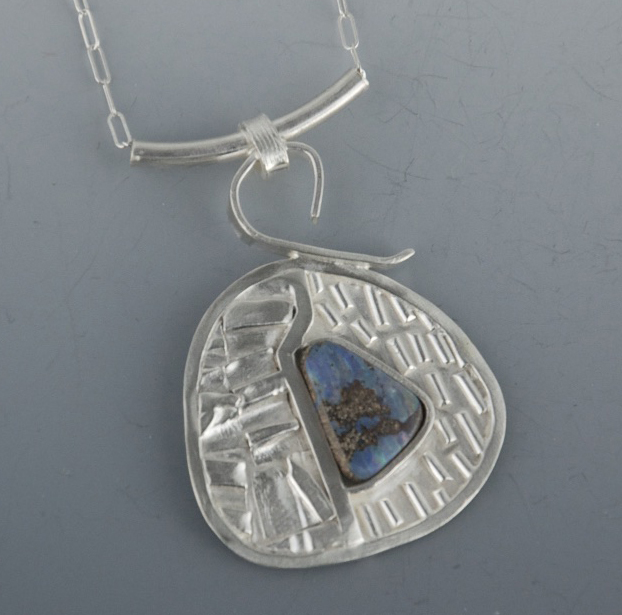 Linda has created a highly texturized organic looking collection in Argentium Silver, complemented by boulder opal gemstones from Australia. 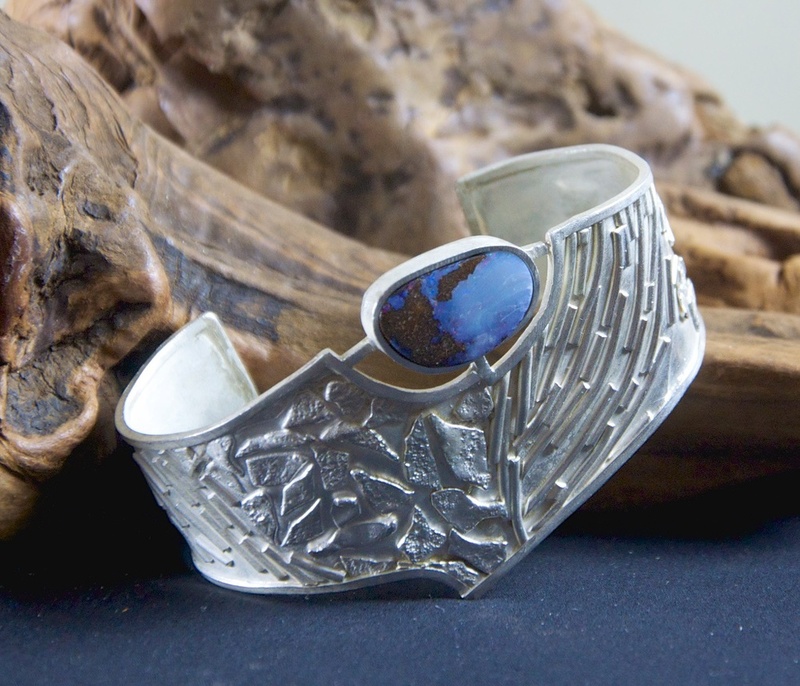 Varying patterns were created by fusing multi layers of silver onto a base plate, with serendipitous results. The textured sheets were then cut to size and soldered to an outer frame. 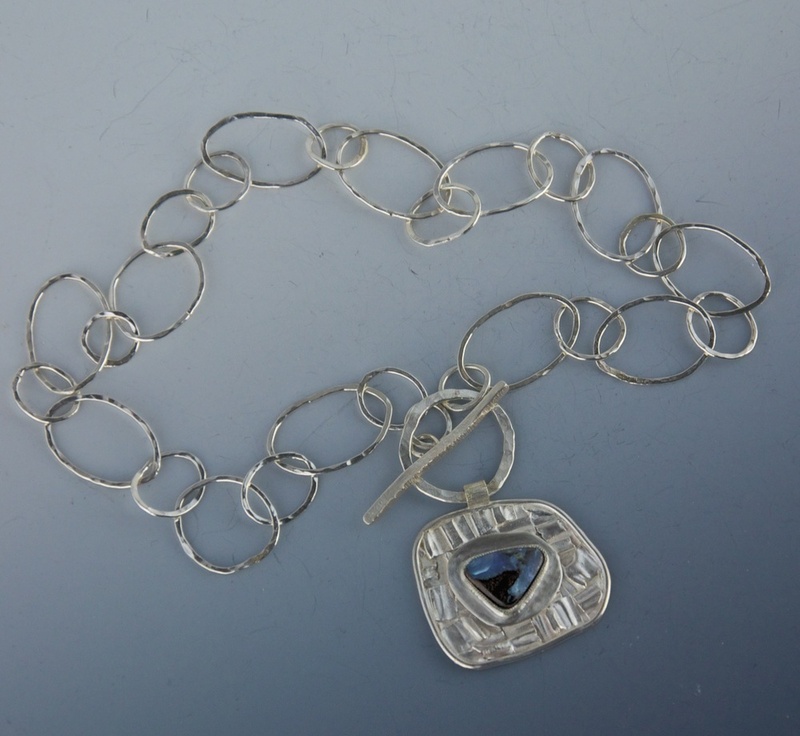 Argentium Sterling Silver is Linda's preferred medium. 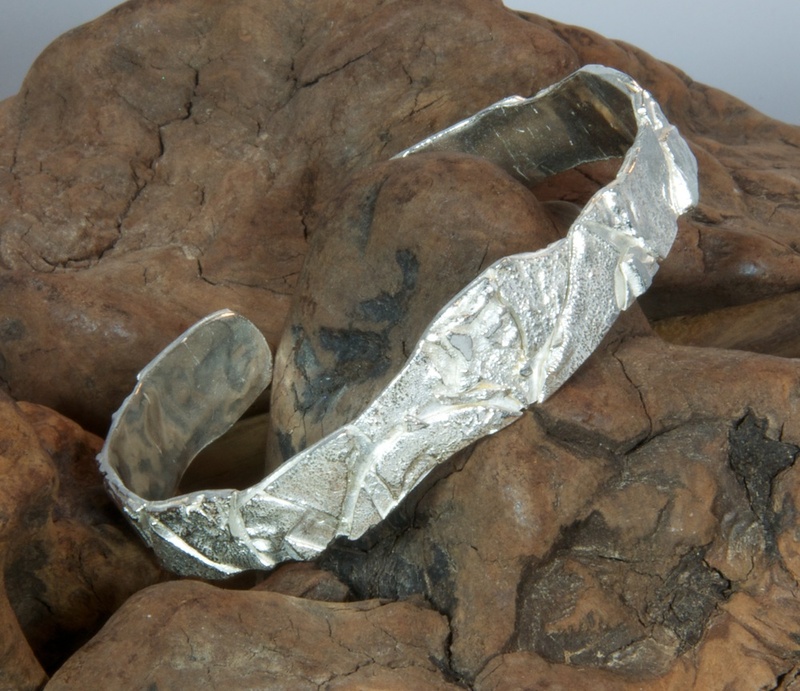 It contains a higher silver content than traditional Sterling Silver, is stronger and very slow to tarnish. It is also displays a beautiful icy white color.